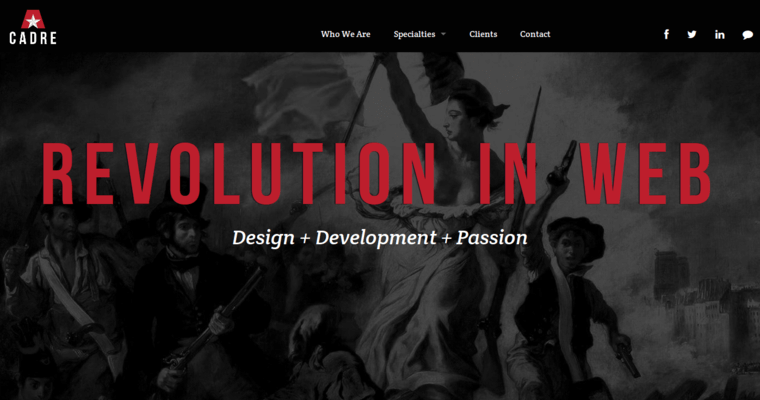 Cadre specializes in website design. 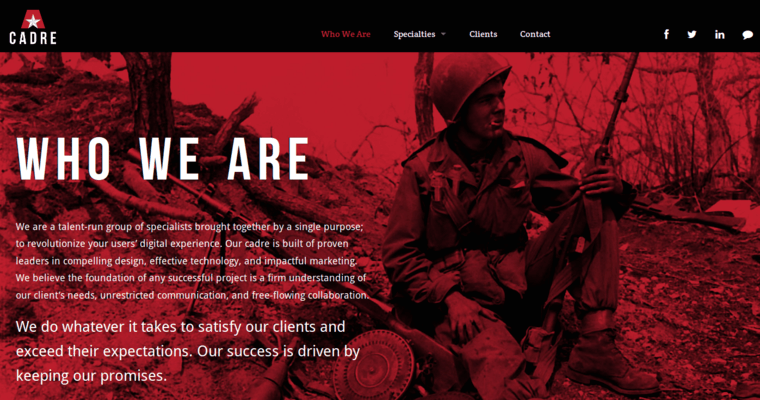 They aim to create websites that are beautiful and wholly original, which they achieve by taking a custom-based approach to the design of the website. 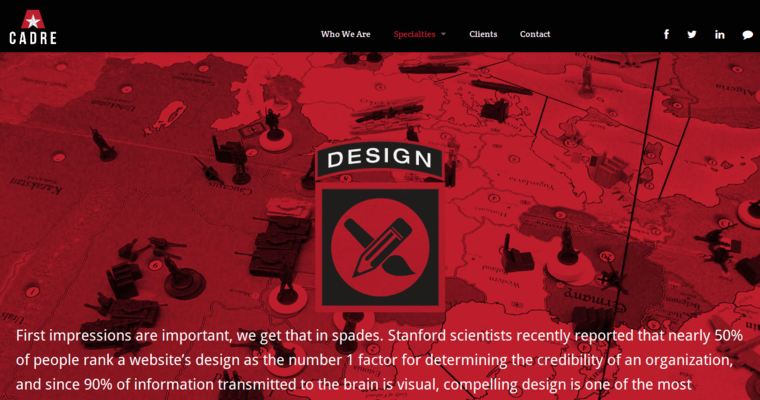 This approach means that every feature and facet of the design is fresh in the eyes of site visitors. Their core design services include the creation of user flow diagrams, page wireframes and sitemaps. Cadre also believes that the design of a website is never fully finished and actually changes in accordance with any new content and intelligence. Before the onset of the design process, they sit down with the client to identify the objectives and goals the client has. They then take these goals and objectives and translate them into visual concepts that truly mirror the client's brand. They also implement a responsive design into each site they build, so that the customer can easily access the website from any device.